For more than three decades, this department has led the basic and applied biological science research that has been part of the foundation for this elite Faculty of Science in the country. Our department mission is leadership in research and teaching of biology at the national and regional levels. I am pleased to offer you an overview of our department and invite you to explore this Website for more information about us. 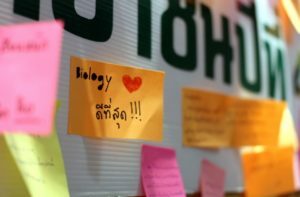 Today, the Department of Biology, Mahidol University @ Faculty of Science comprises 28 faculties with broad research interests. Faculties in the department form overlapping clusters of interest in plant biology; fish biology; ecology, evolution and conservation; biodiversity research group; bio-energy, bioremediation and phytoremediation group; molecular genetics and cell and developmental biology; immunology and parasitology; neurosciences; animal physiology and reproduction; human diseases; as well as molecular and cellular imaging. Our faculty conducts state-of-the-art basic and applied research, and many are engaged in active collaborations with colleagues from other departments. The future of biology is crystal clear. The strength derived from integrating basic and applied research. We are in the verge of post-genomic era, thus, there is a great need for biologists to place into biological context of molecular and organismal levels. Has been regarded as number one department of biology in the country a few years ago, we aim to be stronger than the past to become the competitive department at the regional level in the next five years.